You can see the moodboard on my Pinterest here. 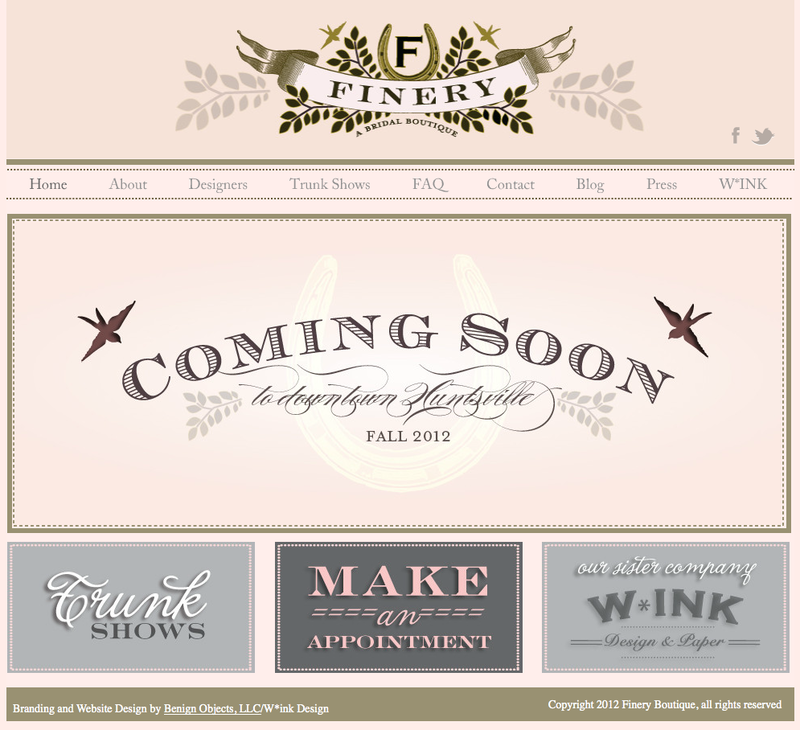 I was commissioned to design a logo, branding and web site for Finery, a unique bridal boutique coming to downtown Huntsville, Alabama early fall. At first, the client was going to use her own name for the boutique, which was fine since she has a lovely name. 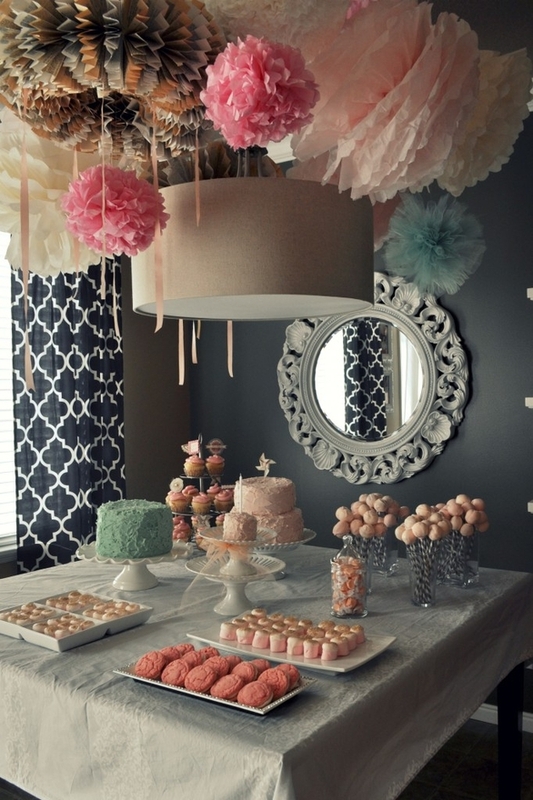 However, while at a bridal show in New York, a wave of inspiration hit her and she came up with the name Finery. It was a name that gave both of us a far more visceral reaction, and it was decided that there was no doubt that should be the name I designed around. Finery has a warm, vintage feel that immediately inspired me, and I got straight to work. (When I was in design school, we were forced to thumbnail sketch our ideas until we were sick before ever touching a computer. That was a great practice and something I occasionally still do, but I typically go straight to the computer now. So :P.) Anyhow, the client really wanted a symbol that's special to her, a horseshoe, to appear in the design. She also wanted a warm, luxurious feel. For inspiration, I turned to old photo cards from the 1800-1900s. Huntsville doesn't have too many bridal shops, and most people travel to Hartselle, Birmingham or Nashville for their bridal gowns, so this shop is a beautiful, and welcome addition to Huntsville, and once it's open I think it's going to really fill a gap. So, we wanted something that would stand out from other bridal shop logos as truly "special" and far from run-of-the-mill or David's Bridal (even though the pricing of some of her lines is comparable to a place like David's). In school, I also fretted endlessly about not having a "style" until I figured out that that's actually an asset. However, after being in practice for several years, I do think I have stylistic tendencies that emerge often in my work, and though I'm completely capable of doing clean and modern design, my work often tends to have a classic, vintage or ornate feel. This logo is no different—especially considering the moodboards the client and I created. 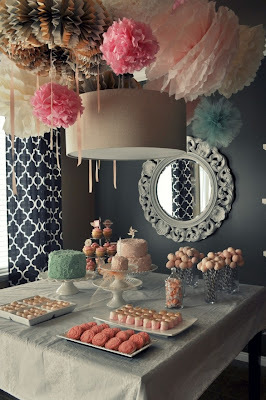 I've attached some of our moodboards above (Pinterest is awesome for that!) and a photo that really inspired the design. I presented about 5 or 6 concepts, but the one above was the standout for both of us and seemed to most fully encompass her brand. One of the things that was really appealing to both of us is that the logo has many elements that can be pulled as decorative accents in the shop (such as the horseshoe and leaves) or on other branding materials, and can also be broken down further is necessary without losing the essence of the brand: for example, the horseshoe and "F" could be a symbol unto themselves or you could add the "Finery" name beneath them for yet another variation. It's very flexible, and that's something we both liked should the client expand her brand in other ways. Once I had the logo, the web site basically designed itself and I had it built and ready to go in about two weeks. Final tweaks on the logo and signage are being made now, and the shop is being readied for its opening. I will be sure to post pictures of the amazing design and decor when that happens! Gorgeous! Loved hearing about your process. I grew up around Huntsville and am happy to see downtown picking up. It must be exciting to be a part of that. I will have to stop in and see the shop next time I am in town visiting my parents. I think you have a very distinct style, it's a modern take on vintage, you are super talented!